Renegade Game Studios continues its Spieltage Essen announcements with the addition of Castell and Dokmus to its new releases planned for 2018. 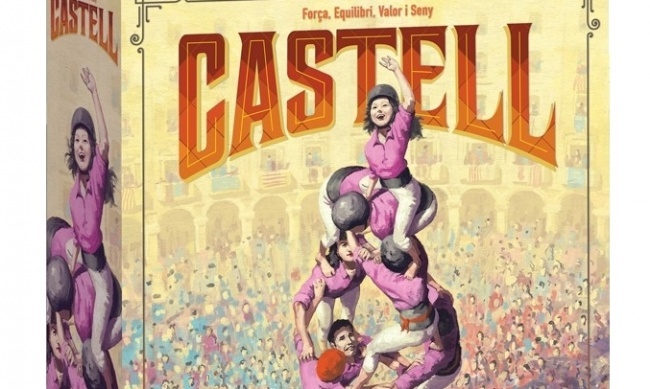 Castell, designed by Aaron Vanderbeek, has players take control of Castell teams through a season of festivals. Castell is the Catalonian tradition of building human towers, with teams competing to build the highest and most difficult towers. Players must build a strategy as they visit different Catalonian cities, recruit members, develop tower-building skills and finally show off their prowess at competitions. 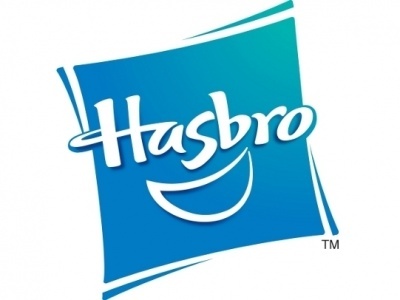 The game is for 2 – 4 players, ages 14 and up, and plays in 60 – 90 minutes. Release is planned for March. MSRP is $60.00. 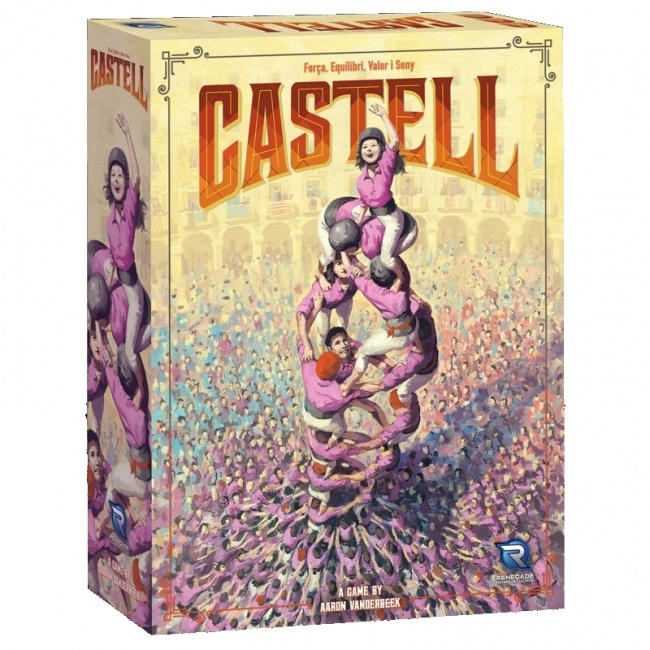 Devir Games also released a game based on the same theme, Castellers!, designed by Josep M. Allue and Dani Gomez earlier this year (see “Devir Stacks the Deck in 'Castellers!'”). Renegade will release another Lautaplit.fi game in North America, Dokmus, as well as its expansion Return of Erefel, in Q1. 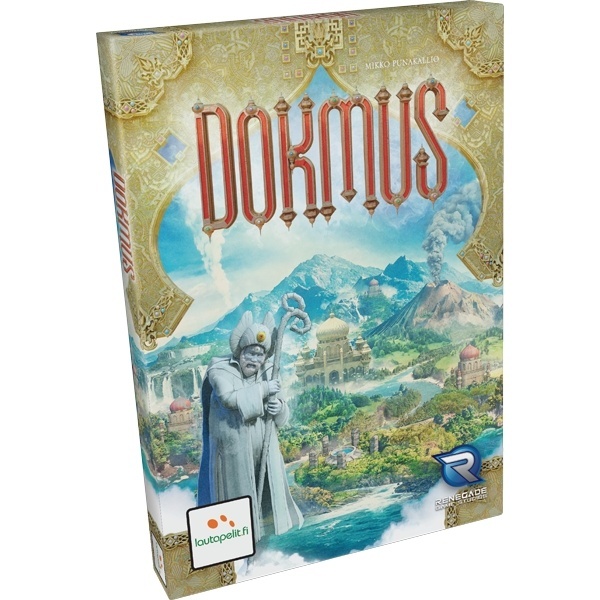 Dokmus, designed by Mikko Punakallio, is an abstract strategy game / territory building game where players lead tribes on the island of Dokmus, attempting to spread their influence and claim territory. There are five Guardians which players draft each round so they can utilize their special powers. Players gain victory points for discovering temples and ruins and sacrificing tokens. The island layout changes constantly with a variety of double-sided map pieces available to use in the game. The game is for 2 – 4 players, ages 10 and up and plays in 20 – 40 minutes. MSRP is $40.00. 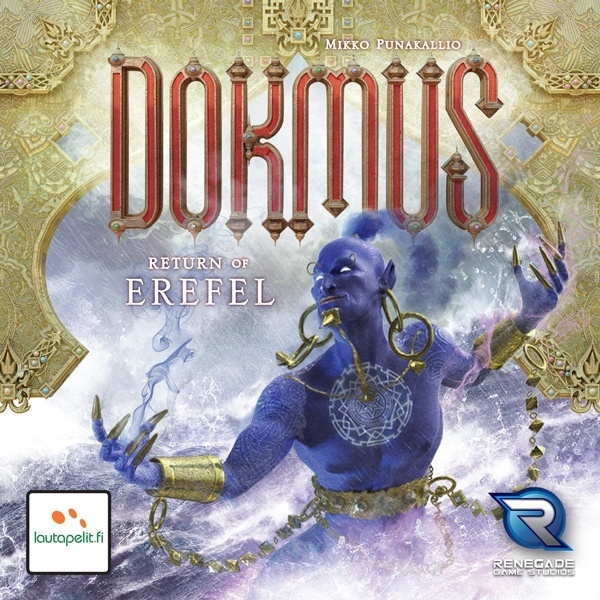 Dokmus: Return of Erefel is one of the original guardians of Dokmus. He was tasked with helping expeditions cross stormy seas and find their way through dark forests. But he neglected his duty, and was banished from the island. After finding an advanced civilization that had mastered road building, he returned to the island and presented his findings, and was allowed to return to his duties. The new expansion for Dokmus offers a new Guardian, new map tiles and scenarios for the game. MSRP is $25.00. As an expansion it requires the base game to play. Renegade has announced other games this week (see “Bid on the Best Bundles in 'Byzanz'”).